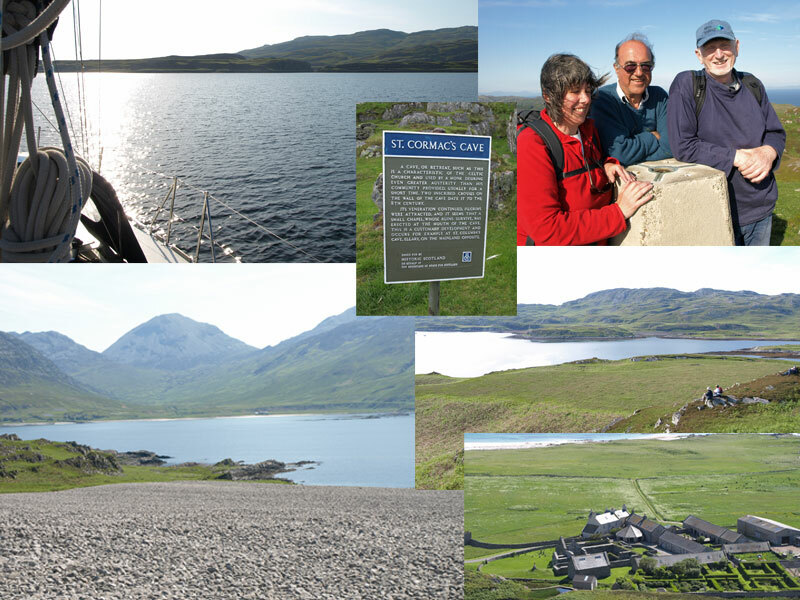 This summer we were back on the west coast of Scotland, but this time exploring the Southern Hebrides. We visited the uninhabited Eilean Mór, Gigha, Jura and Colonsay. We also landed at Crinan to find out more about the canal built to bypass the Mull of Kintyre. We walked and cycled on Gigha and saw the beautiful Achamore gardens, and on Jura we walked the wilds north of Loch Tarbert and raised beaches undisturbed since the ice age. And on Oransay, Colonsay's tidal neighbour and an RSPB reserve, we explored the ruins of the Augustinian priory of St Oran. Southern Hebrides is now being edited; check back for updates, trailers and for when is goes on sale.